Two Igorot mixed martial artists representing Team Lakay won at “ONE: Conquest of Heroes” at the Jakarta Convention Center in Jakarta, Indonesia on September 22, 2018. They dedicated their victory to the victims of the huge landslide that struck Level 070, Barangay Ucab, Itogon, Benguet on September 15, 2018, which was caused by Typhoon Ompong, internationally named Mangkhut. In the main event of “ONE: Conquest of Heroes,” Joshua “The Passion” Pacio, 22, became the new ONE Strawweight World Champion, dethroning Yoshitaka “Nobita” Naito, 34, of Matsudo, Chiba, Japan. Earlier in the main card, Danny “The King” Kingad, 22, earned his sixth win in ONE Championship with a dominant unanimous decision victory over Yuya “Little Piranha” Wakamatsu, 23, of Kagoshima, Japan in a three-round flyweight contest. 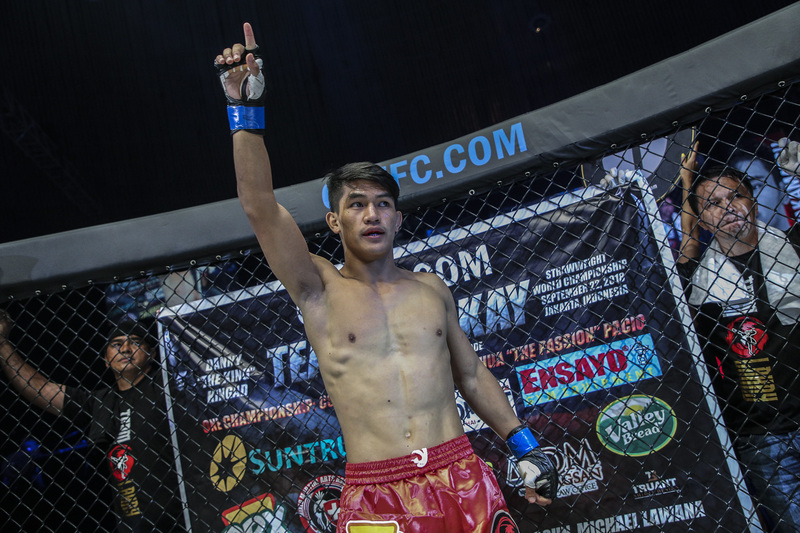 Both Pacio and Kingad have faced adversity and setbacks in their respective careers as MMA fighters but have bounced back stronger. The latter believes that the people of the Cordilleras can do the same. Kingad is currently studying at the University of the Cordilleras in Baguio City, Philippines taking up Education. On August 14, 2018, he and his girlfriend Jannine Vera Kate Dominguez welcomed their first baby named Gleuordan Adrian Kingad. Death toll in the region has reached 100 as of September 30, 2018, CNN Philippines reported. Only 91 of them were recovered while the other nine are still missing, according to the publication. Office of Civil Defense Cordillera Region (OCD-CAR) Regional Director Ruben Carandang told the publication that the excavation has already reached the toe of the landslide. He described the area to be “very dangerous” for their retrieval personnel.